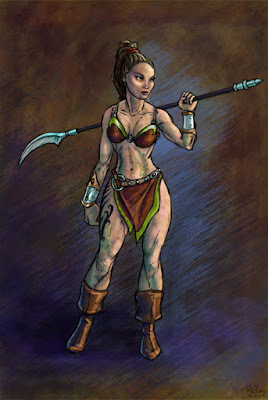 A generic hot fantasy lady. For some reason she can afford fancy jewelery but can't afford to buy a pair of pants. I just noticed the perspective of her weapon thing is off. heck.